← Tales of Terror contest winners! New stuff: Login with Facebook, Twitter, and more! This will probably only matter more for new users, but I’ve (as of last night) introduced the ability to sign up (and sign in) to Protagonize via a whole raft of 3rd party identity providers like Facebook, Twitter or OpenID. How does this work? Just visit our new and improved login page — keep in mind that you’ll need to be logged out of Protagonize to see it. This is all courtesy of an awesome service called RPX that I discovered a few weeks back, that allows sites to integrate their tools, in turn letting our authors (and future members) use their pre-existing social network credentials to register and login to the site. That means that they’ll be able to (almost) magically create a Protagonize account without lifting a finger, aside from verifying their handle and email address when their account is created. Pretty neat, right? This isn’t necessarily quite as cool as for new members, but you can still utilize the new RPX-driven login system if you’re an existing Protagonize member. 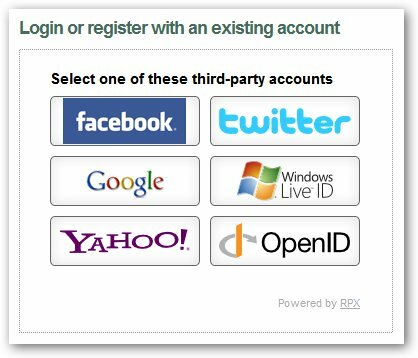 If you select the option to sign in using one of the 3rd party services listed on our new login screen, you can attach your Facebook or Twitter (etc.) 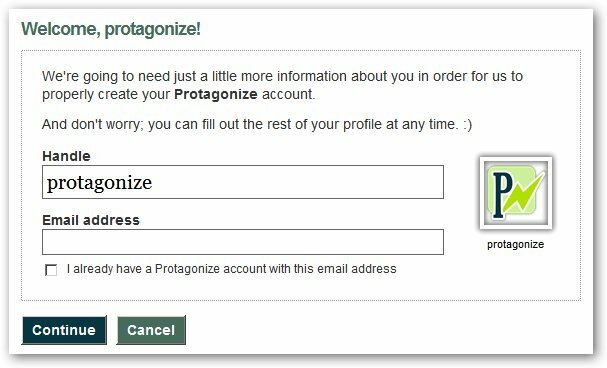 account to your Protagonize account and use it to login in the future. What’s cool about connecting your accounts is that, down the road, we’ll be able to use this to publish information back and forth between Protagonize and your other services (if you so choose), and you can sign into the site with a single click, instead of entering your Protagonize account information every time you need to login. P.S. : The new login system has been up since the wee hours last night — if you notice anything strange (and thanks muchly to those who’ve already sent in bug reports), please let me know. Cheers, and enjoy the new hotness! This entry was posted in Features, General, Site updates and tagged login. Bookmark the permalink.